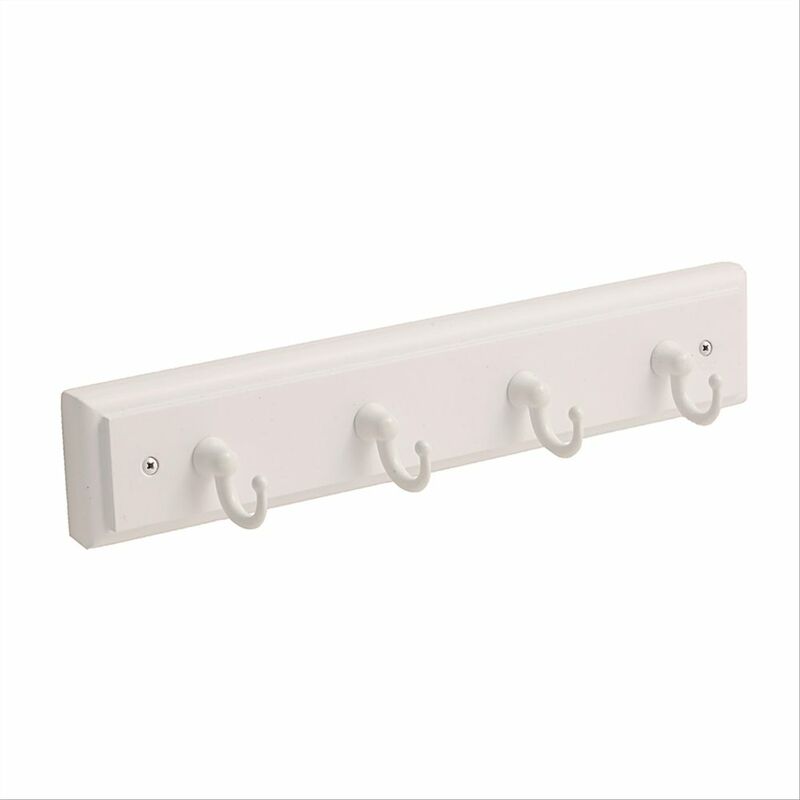 The Amerock HR55590WGw Decorative Hooks 8-5/8in(219mm) Key & Gadget Hook Rack is finished in White. The Amerock HR55662HGB Decorative Hooks 27in(686mm) Hook Rack comes in Honey Pine/Gilded Bronze. Honey Pine elevates a blonde, light pine wood finish to a warmer, caramel tone that feels right at home in any dicor. The Gilded Bronze finish gives a dark golden look with a richly brushed texture. A traditional multi-hook with 4 double wrought iron metal hooks mounted on a warm cherry wood board. Key & Gadget Hook Rack 8-5/8 Inch (219mm) - White/White The Amerock HR55590WGw Decorative Hooks 8-5/8in(219mm) Key & Gadget Hook Rack is finished in White.